The Making of Moomin Costume Party, Part II - Spinfy - quality content for kids with smart parents! Joni, our Software Designer, was the guy who made it all come alive. When I asked him to put into words what he did, he mentioned ”setting the pictures into the right places” and ”planning the logic behind the realization of the app”. I think that sounded way too simple to describe all those lines of code, so I had to dig deeper. The logic behind an app can be very complex because you have to take into consideration every possible thing the user might do. And it doesn’t help that different devices come with different sizes of screens. Joni also had to add lots of new features to our production engine. Now you can browse through a slide menu that contains different clothes and accessories. And when you find something of your interest, you can drag and drop it to dress up Moomintroll or Snork Maiden. The randomize button was a challenge but the logic behind it creates peculiar combinations of clothes, accessories and backgrounds every time you hit the dice on the upper right corner of the app. 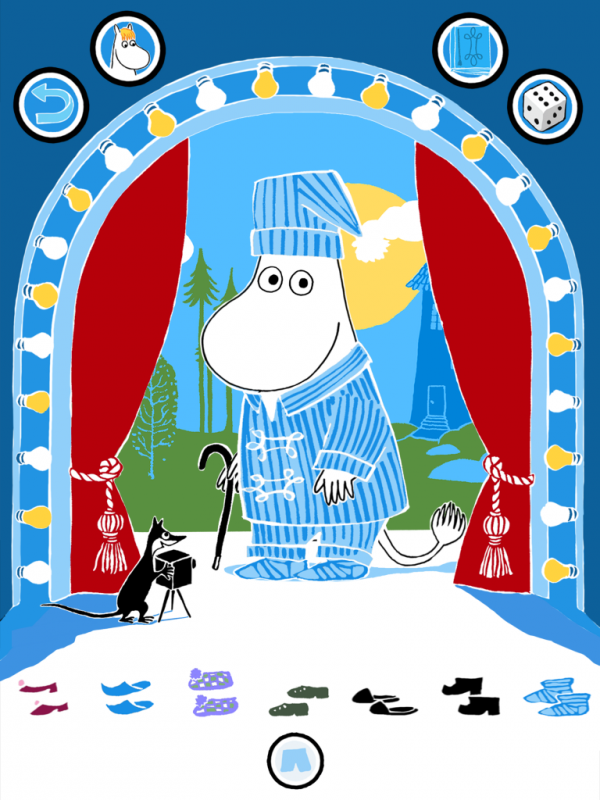 And when you’re finished dressing up Moomin characters, you can take a picture to your photo album. So nearly 2.000 lines of code contains a lot more than what Joni told me at first! Actually this step goes side by side with the programming. So when the most important features were working, we had in-house testing where nearly everyone wass involved - including our kids if you happen to have one or two. According to the feedback, Joni could continue his work. When the whole applications was getting close to be ready, we used TestFight developer tool to distribute the application to our partners for testing. After a few rounds of fine-tuning the code and animations we had the final version, which could be uploaded to App Store and Google Play. During the whole process, Spinfy has been in close dialogue with Riina and Sami Kaarla as well as with Moomin Characters Ltd and WSOY. Luckily for us, we have some great partners! Everybody are experts in their own area and passionate about their work. Face to face meetings are a bit of a challenge, since our office is located in Oulu, in the northern Finland, and all the other partners have residence in the south. However, we have managed to keep a close dialogue and all parties have shared the same idea and vision of the end product. One of the biggest challenges we've had with this app has been how to and into which languages we should localize. At first we planned to make a separate app for each language we had chosen for localization, in order to get the description text and the front page of the app in the respected languages. ”After snooping around the App Store guidelines, I found that you can localize within the app. The device will recognize the language and county settings and it will provide the right localization accordingly”, says Kimmo Alaniska, CEO at Spinfy. So, that's what we did! 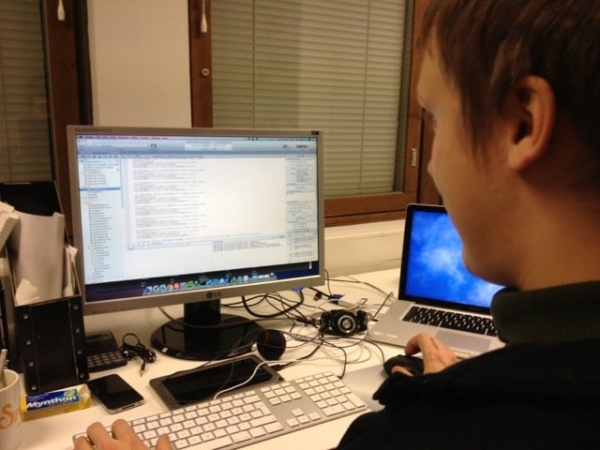 We also localized App Store descriptions. Here's for example the Japanese link. Hope you enjoyed these two blog posts. It sure was interesting for me to recap the process and to find out a bit more what everyone here is doing!